We can print your digital photos from any type of digital camera or other digital media such as CD, camera cards, USB sticks, Facebook and Twitter. The prints are done on high quality, heavy weight Kodak Digial photo paper - the best in the world. You can even email your digital photos to us and we will print them. You can collect instore or we will post them to you. Rest assured that all your digital photos will have been adjusted for correct colour balance and contrast. We look at EVERY photo that goes through our machines and we apply 'intelligent cropping' to stop the important bits of your digital photos from getting chopped off. Prints can be done while u wait. Come into the shop for details. For those of you who want high quality digital photo printing but live too far away to come in there is an excellent online/mail order service. If you only have a few digital photos to print then email them to us with your instructions and contact details. On receipt of the email we will call you, confirm your instructions and take payment by credit card over the phone. If you are sending a lot of digital photos you may have difficulty in emailing us the work. Our top tip is to use WeTransfer. 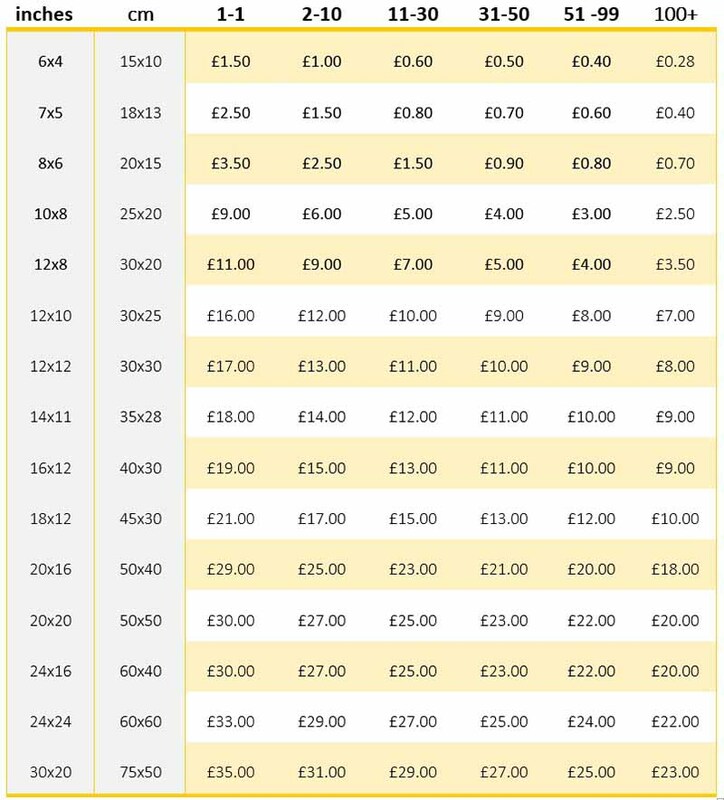 It's fast, very easy to use, no account is needed and best of all. it's FREE! Once your files have been uploaded, we will download and print them. You can pop in to pick up the photos or we can post them out to you. 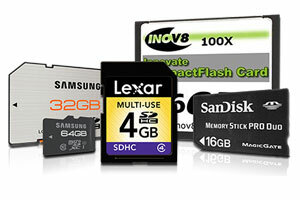 We can recover deleted photos from camera cards as well as data lost from USB sticks and Hard Drives. Get in touch if you have accidentally erased your photos from your camera card and we will restore your photos. 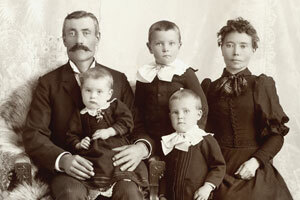 Dig out those old, torn, damaged and ripped photos and let us work our photo restoration magic on them. The original photos are scanned and returned to you along with a digitally restored print plus a CD. 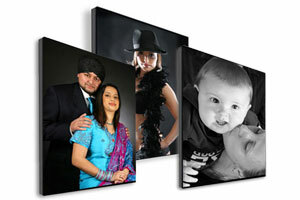 Turn your digital photos into works of art with a high quality canvas print on a stretched frame. We can print from camera cards, usb sticks, email, CD and DVDs, negatives and even from photos. Give us 10 or more and get a massive 50% off! Cine film transfers make fantastic family presents!